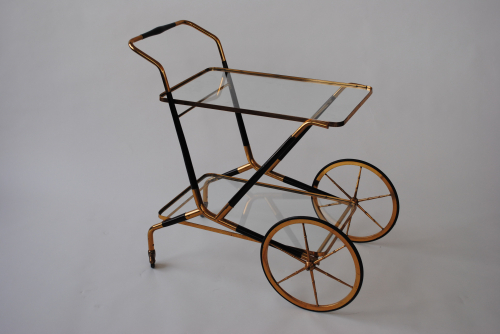 Ebonised wood and brass trolley from Italy. c. 1955. Very stylish with large front wheels.